A rendition of the proposed metaphorical/physical "Trump Wall", to be built along the southern border of the United States of America and Mexico. 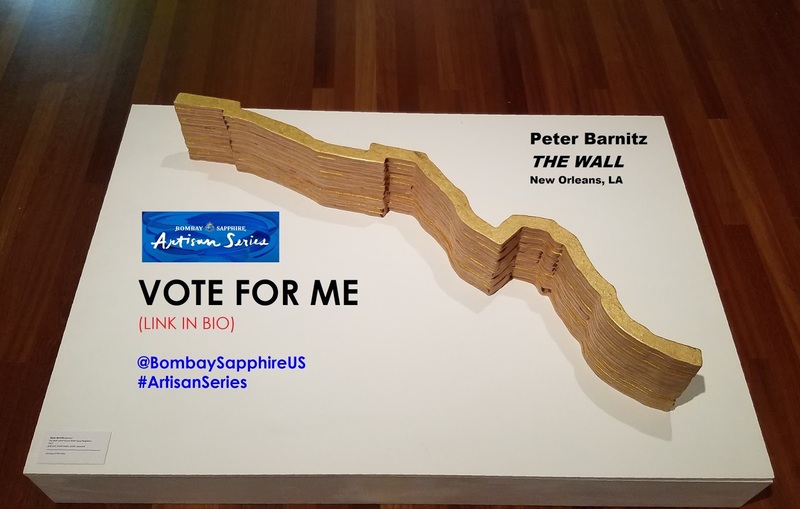 It is a politically neutral sculpture that sparks a conversation about issues surrounding legal/illegal immigration and border security. 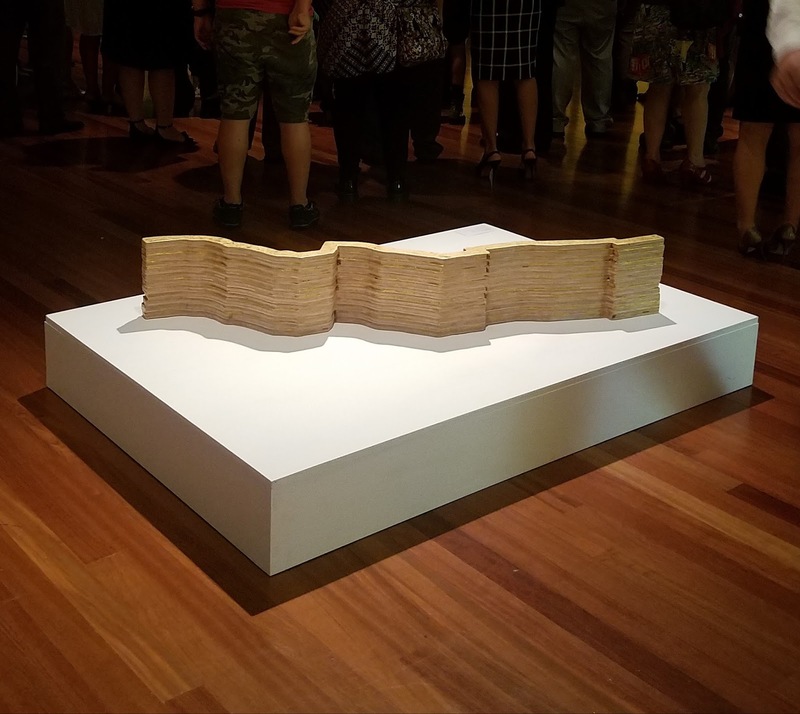 The aesthetically pleasing, free flowing "golden border" sculpture contrasts with its heavy subject matter. Do fences really make good neighbors? ➡"At first, Peter Barnitz’s “The Wall” looks like a stray piece of minimalist sculpture that wandered in from another show. But a closer look reveals that the understatedly elegant piece is indeed that much-vaunted “big and beautiful wall” reduced to the scale of a fetish object, all sinuous lines and gold leaf. In its mixture of formal elegance and conceptual depth, it represents the best kind of art that Lewis’ curatorial hand has selected for this year’s Louisiana Contemporary." Facing up to tough issues in Louisiana Contemporary annual group show.